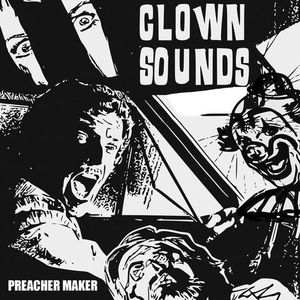 What started as an effort to let the past be the past and to play some of Todd C's solo songs live was rerouted to their own Clown Sound studio in San Pedro, CA. The sessions were revitalizing. Fresh off of being accidentally recruited, guitarist Jacob Galaxy fondly recalls, "I've had the time of my life - and I've never felt this way before." Guitar tracking for Isaac Thotz, Todd C. and Jacob was bizarrely committed to 388 tape simultaneously live. The usually dubious rhythm section, Jimmy Felix, Chachi Ferrara and Trevor Rounesville unanimously exclaim, "Call me a relic, call me what you will. Say I'm old-fashioned, say I'm over the hill, today's music ain?t got the same soul!!" When asked what makes this any different than the music that's coming out currently.